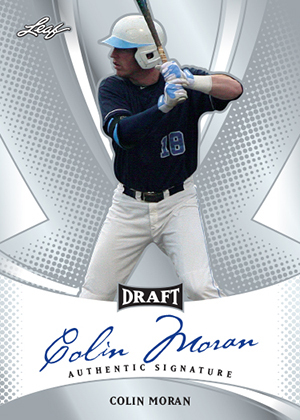 2013 Leaf Metal Draft Baseball combines several staples that are favorites with prospectors: autographs, chromium card stock and top picks. 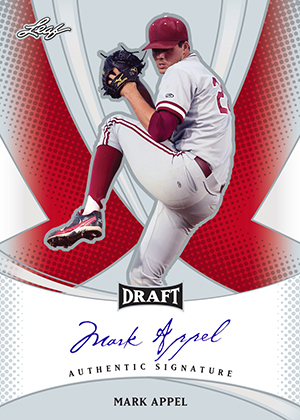 Promising a more limited print run than last year, Leaf is making a few more tweaks for the all-autograph release. 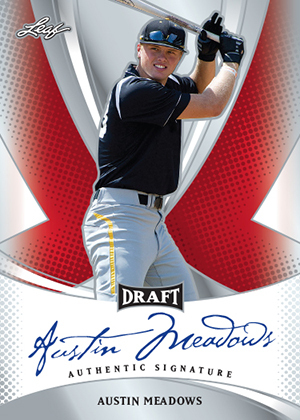 Every 2013 Leaf Metal Draft Baseball box has six signed cards. This year, all base autographs are Refractor-like Prismatics. 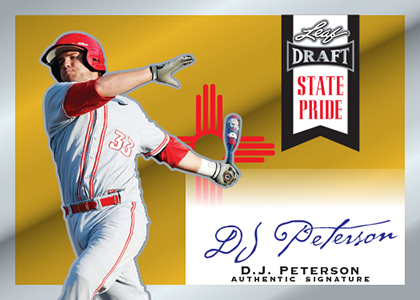 Base autographs have multiple levels of colorful Prismatic parallels numbered as low as 1/1. For the checklist, Leaf is focusing on top picks from the 2013 draft as well as key prospects. 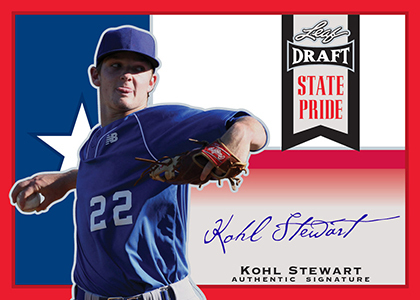 Mark Appel, Kris Bryant, Byron Buxton, Carlos Correa, Miguel Sano and Jorge Soler are some of the signers in the set. Other players from the international scene are also in the set. Pride returns with flags incorporated in the background design. 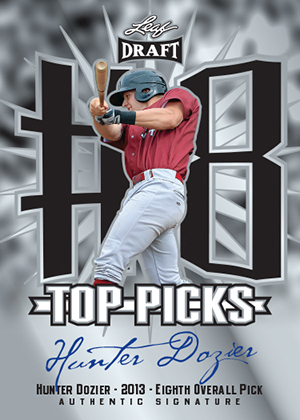 Top Picks is another insert set. This one only has players taken early in the 2013 draft. Both insert sets have multiple parallels including one-of-one Super-Prismatic cards. 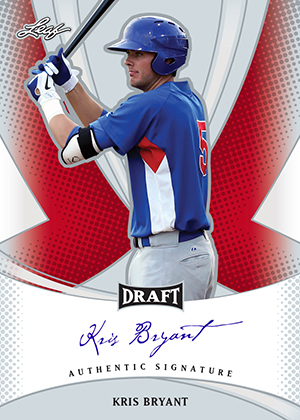 According to Leaf, they are cutting quantities by more than 33 percent compared to 2012 Leaf Metal Draft Baseball. 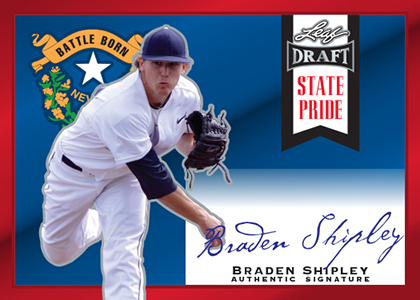 Please note that the cards below are mock-ups and not the actual autographs. Carlos Correa 2013 Leaf Metal Draft RC Rookie Auto 15 BGS 9.5 Astros Hot!! beautiful design this year! I love the selection of players. the price for 6 autos is a little much, especially if you end up with no big names. overall I give it to 4 ! Topps better watch their a**, leave is right behind them and catching up fast. most guys I deal with are concerned with the uniform not having the name of the team. they’re more concerned with having a good selection of players, and the great design they produce this year it took leaf a couple of years but I think they finally got it !